Part of the Schuler Group, a technological and global market leader in forming technology, BCN stands for machine brands Bliss, Clearing, and Niagara. BCN’s parts and products are available at the company’s 180,000 sq. foot facility in Hastings, Michigan. At this ISO 9001 certified facility, 150 skilled technicians and engineers manufacture quality parts for various pieces of equipment. These include face bridge mills, CNC lathes, CNC boring mills, surface grinders, rotary grinders, turret lathes, and many others. 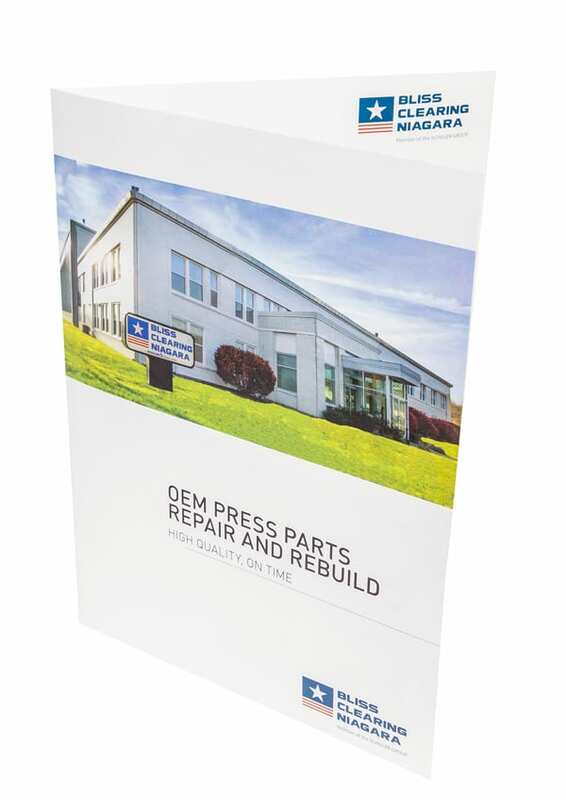 Bliss Clearing Niagara technical services offer a complete range of related products — including spare parts, repair, inspections, remanufacturing, rebuilds, and modernizations. Modernization services include complete press teardown and analysis, engineering analysis, repair or manufacture of parts and assembly that shows the original OEM specs. 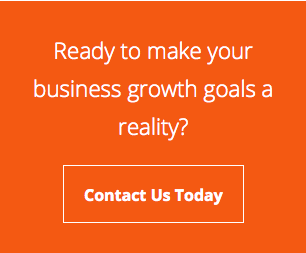 Also available are field service, on-site repair, trouble shooting, press relocations and press inspections. 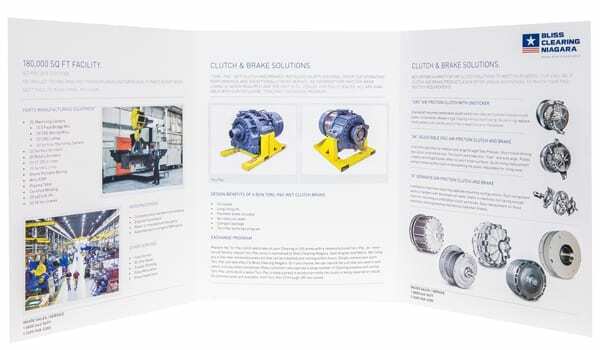 Press rebuilds and upgrades are available for clutch and brake systems, overload systems, speed changes, automated die changes, can machinery and electrical controls. Remanufacturing is offered on all brands of mechanical presses/hydraulic presses and some forging presses. OEM users can quickly receive their needed parts, thanks to a unique parts record that contains over 300,000 parts. These include clutches, brakes, gears, bearings, conversions/upgrades, perishable parts, frames, and connections. In addition to the brands that make up BCN, they also carry USI, Toledo, Consolidated Press, Wilkins and Mitchell and Warco. No matter the age of your part, BCN can provide you with timely and high quality retrofits, repairs, modernizations, replacements and services. Interested parties can contact Tony DeMerle, BCN’s Director of Sales. Schuler is the technology and global market leader in the field of forming technology. The company provides presses, automation solutions, dies, process expertise and service for the entire metalworking industry and lightweight automobile construction. Its customers include automobile manufacturers and automotive suppliers, as well as companies from the forging, household appliance, packaging, energy and electronics industries. Schuler is a leader in coin minting presses and implements system solutions for the aerospace, rail transport and large-dimension pipe manufacturing sectors. 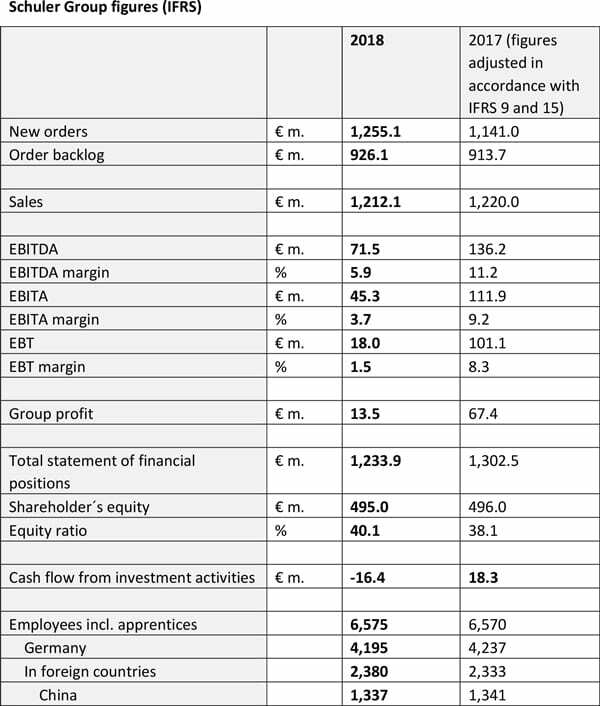 In the 2016 fiscal year, Schuler generated sales of 1.174 billion euros. After acquiring toolmaker AWEBA and a majority stake in Chinese press manufacturer Yadon, Schuler has a presence in 40 countries with roughly 6,600 employees. Schuler is majority-owned by the Austrian ANDRITZ Group. Canton, Michigan – Schuler has developed solutions for the digitization and networking of forming technology with the new servo press MSP 400 or the process monitoring system for hot stamping systems. They are part of the “Smart Press Shop,” Schuler’s answer to Industry 4.0 (“Industrial Internet of Things”, IIoT). 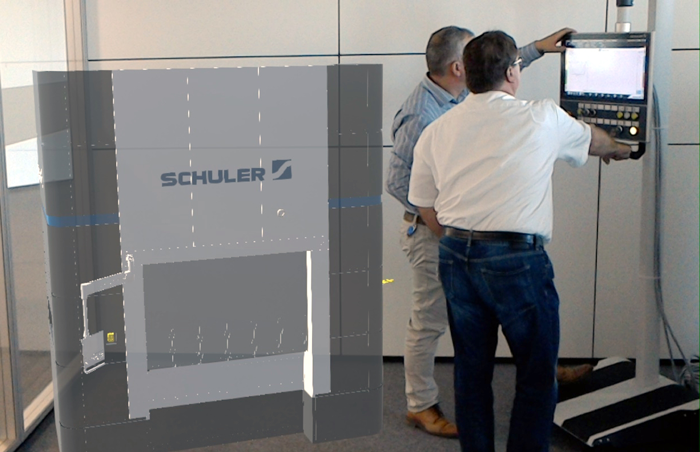 The main benefits for press operators have now been experienced by the visitors at Schuler’s Tech Day at the end of November in Puebla. 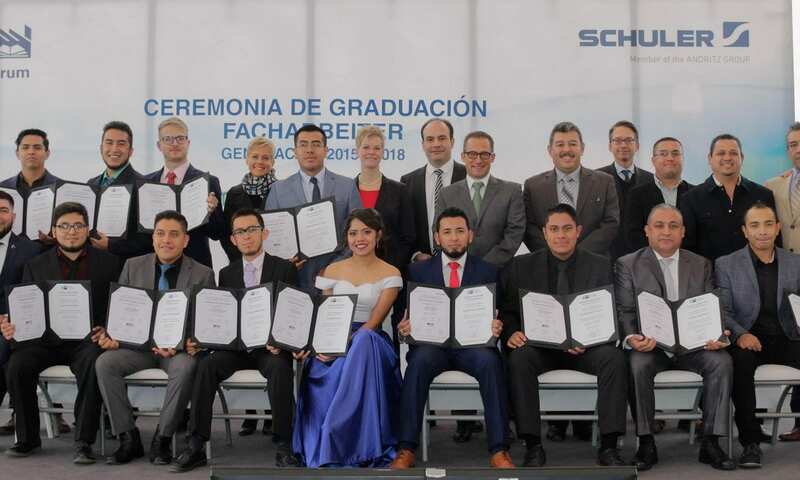 In the morning, Schuler celebrated their fourth group of apprentices completing their vocational training at the Cedual Training Center. The 16 industrial engineers and toolmakers prepared themselves for their job with theoretical and practical phases based on the German model. 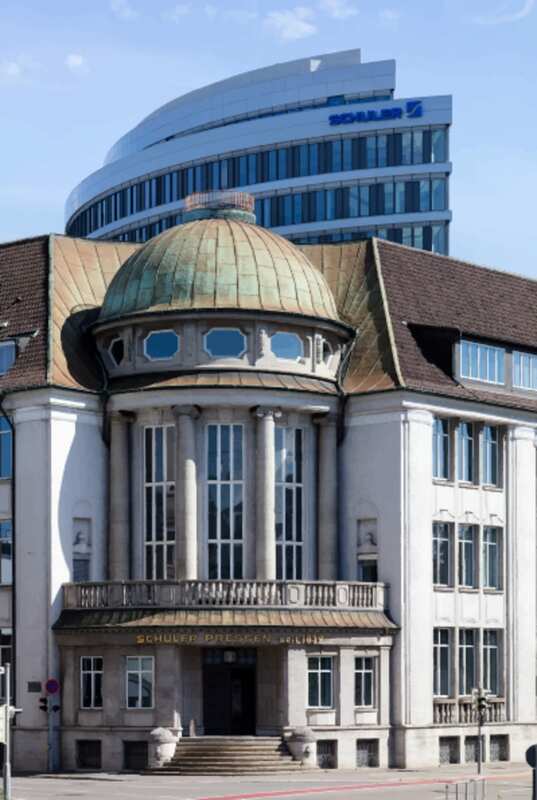 The training center, which Schuler founded in 2012, is equipped with a teaching workshop as well as an audiovisual lecture theater and three classrooms. 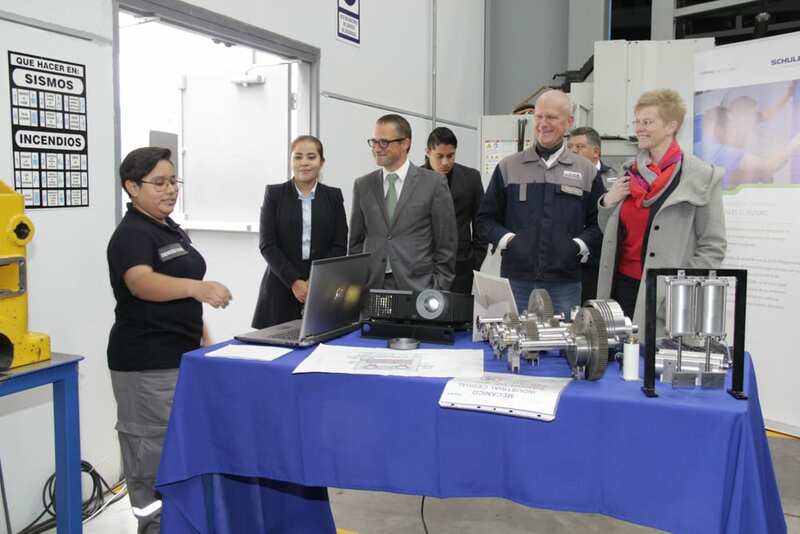 Images 1, 2 & 3: At Schuler’s TechDay in Puebla, Mexico, visitors learned solutions for networking in forming technology. Image 4: Schuler’s apprentices celebrate completing their vocational training at the Cedual Training Center. Schuler is the technology and global market leader in the field of forming technology. The company provides presses, automation solutions, dies, process expertise and service for the entire metalworking industry and for lightweight automobile construction. Its customers include automobile manufacturers and automotive suppliers, as well as companies from the forging, household appliance, packaging, energy and electronics industries. Schuler is a leader in coin minting presses and implements system solutions for various high-tech industries. The company generated 1.233 billion euros in sales in the 2017 fiscal year and has a presence in roughly 40 countries with approx. 6,600 employees. Schuler is majority-owned by the Austrian ANDRITZ Group. Bliss Clearing Niagara technical services offer a complete range of related products-including spare parts, repair, inspections, remanufacturing, rebuilds, and modernizations. Remanufacturing is offered on all brands of mechanical presses/ hydraulic presses and some forging presses. 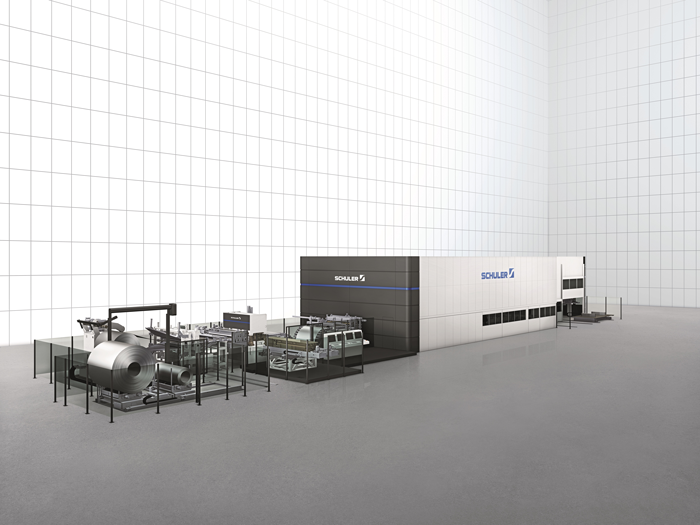 Chinese steel maker Ansteel has ordered the first Schuler laser blanking line for Asia. Canton, Michigan – Ansteel is one of the largest steel producers worldwide and also known as the “cradle of steel industry” in China which contributed significantly to the rapid economic growth of the People’s Republic. 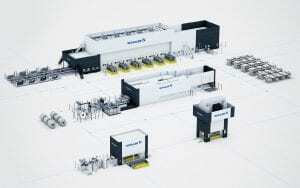 Now, the company will also be the first Schuler customer in Asia to install a laser blanking line. This is also the first system worldwide that features two cutting heads for the processing of coil material with a width of up to 1,880 mm (74”). Laser cutting systems for blanking lines have proven their reliability and high output in the series production of outer body parts already in Europe – another one will be delivered to the U.S – and are particularly suitable for production processes with frequent product changes, since no dies are needed. Schuler’s innovative DynamicFlow Technology enables a highly dynamic cutting process and high strip speeds for the coil material which is continuously moving forward. This process leads to an increased output and higher system availability, while also ensuring gentle transport of sensitive materials such as aluminum. The new Laser Blanking Line 2.18 has two powerful cutting heads and can be used to produce blanks for various components made of coil material with a width up to 1,880 mm (74”). It is a cost-optimized alternative to the Laser Blanking Line 3.21 with three cutting heads, which is particularly suitable for the efficient production of outer skin blanks with a coil width of up to 2,150 mm (84”). It provides a wide range of options to optimally adapt the system to customer needs and has been successfully in production for several years now. Ansteel is a state-owned steel producer headquartered in Anshan, Liaoning. The company originated from a merger and reorganization of Anshan Iron and Steel Group Corporation, which was the first large-sized steel maker of the New China, and Pangang Group Co., Ltd., the largest vanadium manufacturer in the world. Ansteel has seven production bases in China as well as in Karara, Australia. The production capability amounts to 39 million tons of raw steel, 3,000 steel grades and more than 60,000 specifications of high-tech products which are sold to dozens of industries such as automotive, machinery, home appliances and so on in over 60 countries and regions. Canton, Michigan – Today marks the start of production for a new ten euro collector’s coin featuring a colorless polymer ring at the Karlsruhe Mint of the State Mints of Baden-Wuerttemberg in Germany. The first coins were officially struck in a ceremony attended by Baden-Wuerttemberg’s Finance Minister, Edith Sitzmann. These “tri-material” coins are produced on a joining machine, which connects the polymer ring to the metallic core and outer metallic ring, and on minting presses from the Schuler Group. 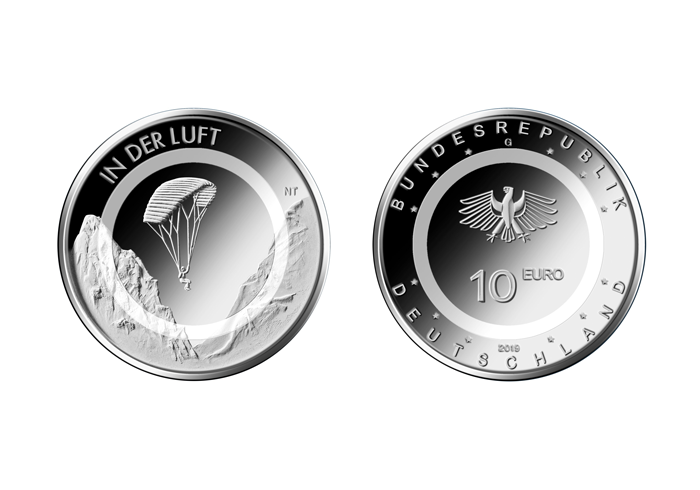 The front face shows a paraglider set in a mountainous landscape, while the back face includes an eagle, an inscription reading “Bundesrepublik Deutschland” (Federal Republic of Germany), and the twelve stars of Europe. The 9.7-gram coin is the first issue of what is to be a three-part series entitled “Air Moves.” It will be available in the two mint qualities “uncirculated” and “proof” starting in the spring of 2019. Autumn of the coming year will then see the arrival of the next edition of the five euro collector’s coin. This issue, which will feature a green polymer ring, will also be produced using Schuler technology. The front face will depict a European hare representing the temperate latitudes in the “Climate Zones of the Earth” series. The coins are extremely popular among collectors and non-collectors alike. Additional information will be available at the Technical Forum held on January 31, 2019 in Berlin before the official opening of the World Money Fair. 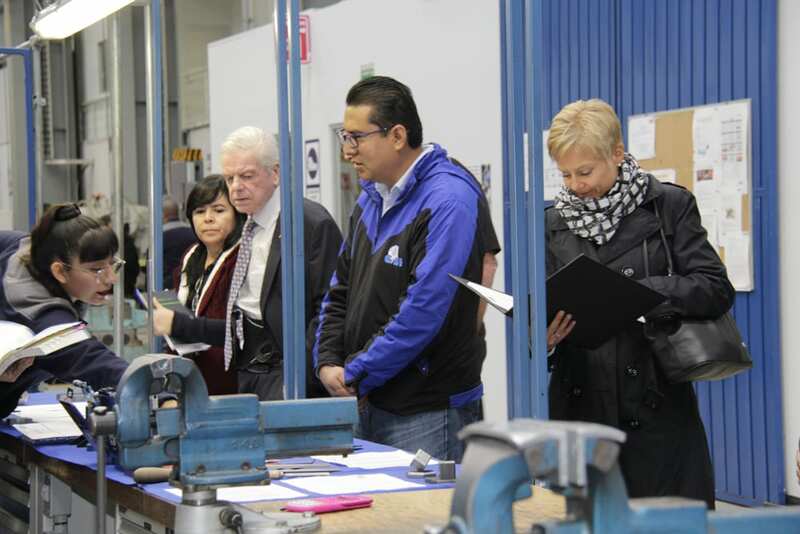 Canton, Michigan – Huissel, well-known as a reliable die and sheet metal part supplier for the European automotive and supplier industry, looked to Schuler presses to help expand their market. Huissel wanted to complete the die manufacturing process chain in Frankenthal, Germany, and the related delivery of sheet metal parts at the Enkenbach-Alsenborn site for its product line. According to the two managing directors, Peter Busalt and Gerald Schug, these market potentials could not be achieved with the existing machinery. A system was needed that would permit economical manufacturing of medium and high lot sizes while enabling easy operation. Huissel chose the Schuler MSP 800; the latest expansion of the newly developed servo press series of Schuler. The commissioning of the new press is also considerably faster thanks to a digital twin. Here, the virtual system model is connected to the real control system with the machine and system visualization system. All functions of the MSP 800 can be simulated on the computer in this manner. The functionality and operation of the system can therefore be tested and trained on the real machine. Huissel will set up a new building in its Enkenbach-Alsenborn factory for the MSP 800. As a whole, this project is the largest single investment in the company’s 100-year history. Huissel also intends to attach dies that it has manufactured in its Frankenthal factory 25 miles away to the new servo press. The tie rod structure of the MSP 800, which offers particularly high rigidity, also guarantees the quality of the parts production. Schuler presented the MSP 400, a smaller version of the MSP 800, to the general public at the EuroBLECH trade fair in Hanover for the first time. The smallest members of the group, the single-rod automatic blanking press CSP 100 and the double-rod automatic blanking press MSP 200, are already in use at stamping companies. What all these presses have in common is the innovative knuckle-joint drive with highly dynamic servo motors and additional smart functions, such as condition monitoring. 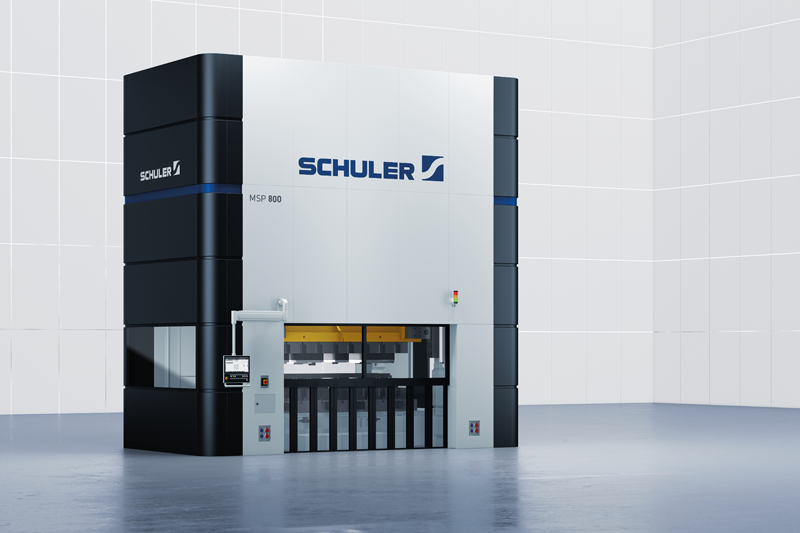 Schuler is currently in development and will soon offer a press force of 1,250 tons. Canton, Michigan, September 5, 2018 – Porsche and Schuler announce plans to build an innovative press shop together for the car factory of the future. Representatives of both companies signed the contract on Tuesday, September 4, 2018 for the foundation of a corresponding joint venture. The European Commission has already green-lighted the joint undertaking. Approval from further anti-trust authorities is still pending. The objective of this Schuler and Porsche joint venture is to create what is termed the “Smart Press Shop” as part of a networked Industry 4.0 approach. The new press shop’s pioneering technologies will enable the highly flexible production of complex car body parts, where the focus will be on aluminum body panels and small batch production. The systematic further development of process know-how in the field of metalforming will be achieved in part by the end-to-end networking of production data and the use of machine learning. 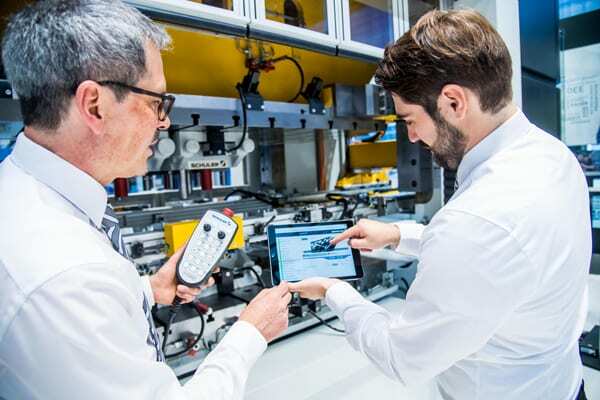 Porsche and Schuler aim to set new standards in the field of predictive maintenance and intelligent production control. The joint venture will utilize Schuler’s new Servo 20 Technology. It raises maximum output from 18 to 20 strokes per minute while reducing energy consumption per stroke and per part. A newly developed die-changing concept makes it possible to produce small batch sizes with a high degree of economic efficiency. Further features of the new line include an optimized servo drive in the downstream presses plus a reduced footprint. The joint venture will operate as an independent company (GmbH & Co. KG) held in equal proportions by Schuler AG and Porsche. Each of the two companies will invest a double-digit million Euro amount in the joint venture. Over 100 highly skilled jobs are to be created. The location of the new company has not been finally decided yet. However, its location is expected to minimize logistics distances for car body parts – thus significantly reducing CO2 emissions. Schuler is the world market leader in metal forming technology. The company supplies presses, automation solutions, dies, process know-how, and services for the entire metalworking industry and lightweight automotive design. Customers include automobile manufacturers and suppliers as well as companies from the forging, household appliances, packaging, energy, and electronics industries. Schuler is the leading supplier of minting presses and supplies system solutions for aerospace, rail transport, and large pipe manufacturing. In 2017, Schuler posted sales of € 1,233 million. Following the acquisition of toolmaker AWEBA and a majority stake in Chinese press manufacturing company Yadon, Schuler employs around 6,600 members of staff in 40 countries. The Austrian ANDRITZ Group holds a majority share in Schuler.